Leader and great patriarch.My grandpa is 94 today! 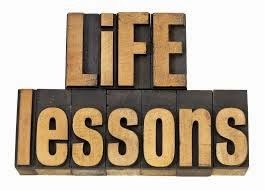 So I decided to dedicate this post to the blessed wonderful 'young man' as I review 2 of the lessons he taught me directly. While these are not new laws, they are worthy of note. emphasized and practiced the orderly arrangement of things, from books, to shoes, clothes and what have you. Order indeed is heaven's first law. Imagine what kind of day it would be if you woke up and the stars were still lighting up the skies and the moon forgot to be retired from the night. Everything in the universe, the seasons the elements all come out and are seen in a particular order and pattern that is the work of God and should be appreciated and emulated here in our processes. 2. Cleanliness is next to godliness.Grandpa's penchant for cleanliness and neatness is not only seen when he is dressed in his elitist way but it can also be seen in the ambient neatness of his house.He wouldn't mind to emphasize it in his words should there be a need. This cleanliness he also complements with his love for prayer as a devoted Anglican. Cleanliness is also a state of purity of life and character of any one who aspires towards all that is good and godly. Integrity, a form of cleanliness is itself a necessary asset in any business. This two lessons will suffice for reflection today. I appreciate God for his life and I wish granddad more of God's strength and grace in the years ahead.